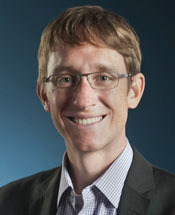 William (Bill) Welser IV is the director of the Engineering and Applied Sciences (EAS) Department and a senior management scientist at the RAND Corporation. As director of EAS, he is responsible for roughly 185 professional research staff. Current research projects include assessment of the space industrial base, privacy considerations and technologies for mobile devices, evaluating technology and market trends related to space-based sensors and capabilities, and designing applications for secure information sharing using beyond state of the art cryptographic algorithms and protocols. Past research includes informing the future global force posture for USSOCOM; assessing aspects of the integration of women into combat positions; F-22 and F-35 maintenance and sustainment; space debris mitigation and remediation; vulnerabilities of space systems; operationally responsive space; and medical logistics support to the U.S. military and embassy personnel around the globe. Welser’s research has been published via media outlets Scientific American, Foreign Affairs, Time, and BusinessWeek, as well as in various newspapers, podcasts, and websites. Welser separated from the U.S. Air Force in 2007. In the Air Force, he was responsible for program management, design of next generation technologies, systems engineering, and procurement and production of advanced technologies. His service included time at the Space and Missile Systems Center and the Electronic Systems Center. In 2004, he was recognized by USAF Space Command with the Arthur S. Flemming Award for Outstanding Achievement in Applied Science. Welser received his B.S. in chemical engineering from the University of Virginia, and his M.B.A. and M.S. in finance from Boston College.